Vineet Aggarwal started Cerule India Advisory in 2009 in Australia and successfully expanded operations beyond local boundaries of Australia by setting up a very strong team in India specialising on different services. The same experience and strategic thinking is now being applied to his various clients to help them enter India, supplementing it with the cultural education to his clients. Vineet prides himself and Cerule team to be a rare mid-scale consultants in India entry services that provide capability in business facilitation and expansion as well as regulatory structuring and legal advice. His strength is in identifying opportunities and bringing together the right people. He is a regular invitee to different events to speak about doing business in India. A rank-holder Chartered Accountant from India and an MBA from Melbourne University and New York University, Vineet has spent a number of years in corporate sector working with the likes of PricewaterhouseCoopers, KPMG, Accenture and McKinsey. He is also a distinction holder CPA from Australia and certified Lean Six Sigma Champion. He did his Bachelor of Commerce (Hons.) from Shri Ram College of Commerce, Delhi University, graduating with first division. Vineet has also contributed a lot to the community in Australia – currently as President of Assocham (Associated Chamber of Commerce and Industries of India) Queensland, previously as President of Association of Indian Chartered Accountants in Australia (he was the founding chairman of Brisbane Chapter, The Institute of Chartered Accountants of India) and by serving in Federation of Indian Communities in Queensland committee. In addition, his passion for travel and going out with his wife, often makes him play Tetris with his calendar. Vineet Singh is a senior management consultant with more than 14 years of professional experience. He is adviser to some of the top tier Australian corporate in a range of industries including education, health, aged care, agriculture, mining, infrastructure, media, financial services as well as cooperatives and not for profit. A strategic thinker, Vineet specialises in helping his clients make high impact decisions such as launching new services, entering new markets, making significant capital investments, forming joint ventures, make or buy decisions. Vineet ensures that his clients fulfil the strategic intent of their decisions and help them build capability towards execution. Supported by Vineet’s advise, his clients have achieved remarkable results such as $100M revenue in two years under a new service line, $1B investment portfolio and delivery of a multi-million dollar education program. Vineet had earlier work for a leading boutique management consulting firm in Perth and held the role of Asia Pacific Regional Manager with KPMG Singapore, working extensively with each of the 15 country practices in business development, advising strategic accounts and implementing strategic initiatives. Vineet graduated from one of the most prestigious engineer colleges in India, National Institute of Technology. Vineet has an MBA from University of Melbourne including an exchange term in University of North Carolina, USA. Vineet maintains a close connection with the society. Moral values in the community are essential to Vineet, and he thinks education is an active lever in transforming the world. Vineet volunteers with Primary Ethics, a not for profit organisation delivering ethics education to over 450 public schools in NSW. As a regional manager, he managed delivery of ethics classes in Parramatta region public schools. He is also a member of Australia India Business Council. Vineet is married to a lovely wife with two furry babies. They cook, travel, take risks and keep life interesting for each other. 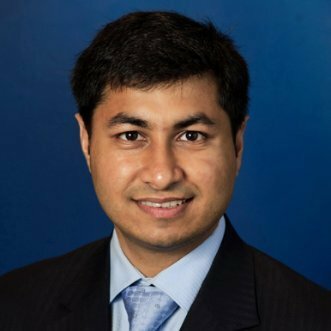 Ankit Prakash is an intellectual property lawyer and has represented many Fortune 500 companies for both IP prosecution and litigation. He advises Cerule’s team in intellectual property protection and complex corporate legal matters of their clients. Ankit has a very wide network in Indian government administrative services, providing him a great ability to reach and influence the bureaucrats. 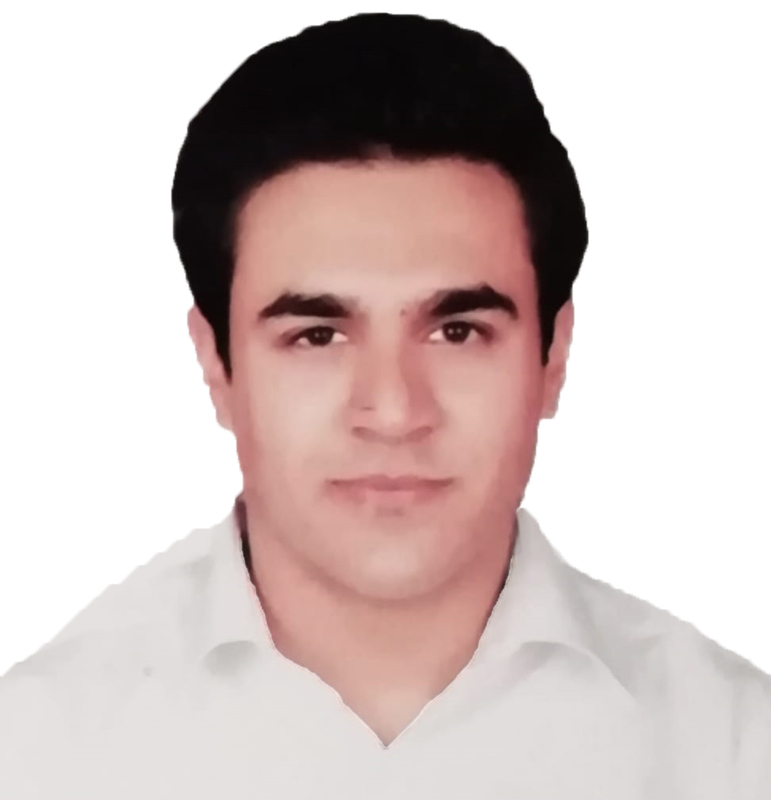 He is also very well connected with a number of senior business decision makers in a number of industry sectors. Ankit has more than a decade experience of working in corporate world and has previously worked in the leading Indian law firm like Anand and Anand and in the corporate sector with Videocon. He has also written many Indian and International publications and has been a speaker to many events. Ankit is an India qualified lawyer and holds a post graduate degree in law from the United Kingdom. He did his LLM from Queen Mary & Westfield, University of London specialising in Intellectual Property Rights and LLB from University of Delhi. He was admitted to practice in 2005 with Bar Council of Delhi. 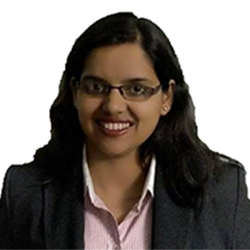 Shoumita Mukherjee is a practicing chartered accountant based in Bangalore with an experience of more than 11 years. Previously, she has experience of working with Big Companies like Deloitte, Keypoint Consulting (accounting division of E&Y), Kreston International (one of the top 10 accounting firms in the world). She has wide exposure and expertise in Indian regulatory and compliance matters, including Indian direct and indirect taxation, tax planning, Companies Act, Indian accounting principles etc. 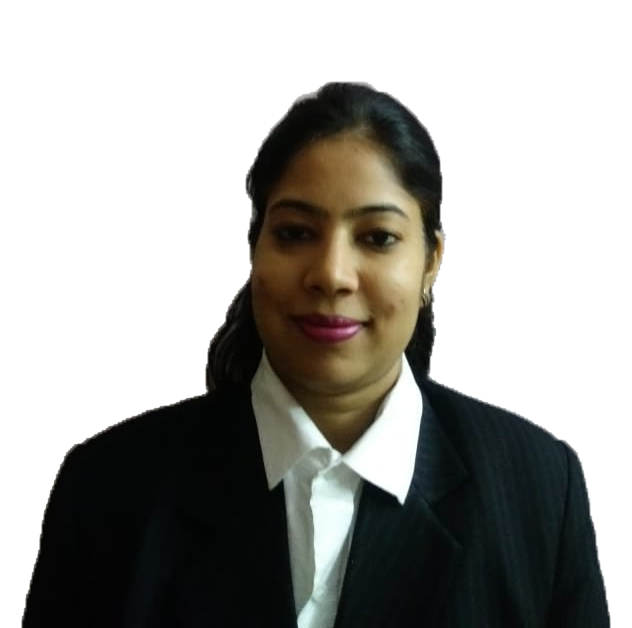 She is an associate member of the Institute of Chartered Accountants of India, holding COP (Certificate of Practice) since May 2012. Devesh Jain is the visionary behind setting up the bookkeeping outsourcing team for small and medium enterprises. Besides ensuring the team is certified as XERO Silver Advisor and NBA Bookkeeper, he is actively involved in team training and providing efficient client delivery system. He also provides complex financial modelling and analysis and business valuation support to Indian and international clients. His experience includes managing valuation of businesses operating in Auto Components, Chemicals, Engineering, Publishing and IT & ITeS industry. Devesh comes up with experience of working for more than 10 years with PricewaterhouseCoopers where his key responsibilities included managing business valuations and business plan reviews to support business funding needs, internal restructuring and other regulatory approvals. Devesh qualified Chartered Accountancy in May 2005 and is an Associate Member of the Institute of Chartered Accountants of India. Bharti manages India office of Cerule Group. Bharti aims to focus on one objective – ‘get the work done’. The ‘in your face’ cultural requirements in India to get things done is not easy to navigate for foreign culture and Bharti does it well while ensuring professionalism. She has strong organisational and administrative skills, apart from relationship management with various stakeholders in India. Bharti also handles internal and external recruitment, including student recruitment for study and internship in Australia. She has a wealth of experience in dealing with senior stakeholders, primarily through more than a decade experience in hiring of middle and top professionals for various Fortune 500 companies. Bharti is an MBA graduate from one of the leading B-Schools in India. When Bharti is not helping Cerule and their clients, she is engrossed in the family activities and a key reason for her to stay at home as much as possible! Saarthi Bhatia is a fellow member of the Institute of Company Secretaries of India and a law graduate from the esteemed Delhi University. Saarthi has rich experience of more than 6 years in the field of corporate compliance and advisory. He has led various transactions related to foreign investments, IPR and regulatory & general corporate compliance. Saarthi frequently speaks in various fora and is very active as an adviser towards strategy, business models, marketing and commercial insights blended with an astute understanding of Intellectual Property laws and General Commercial laws that covers IP Protection, IP Enforcement, Agreements, Licensing, Franchising, Strategic Advisory and Due Diligence. Neeraj Kanoria belongs to one of India's most respected and powerful industrial houses having diversified manufacturing interests in chemicals, petrochemicals, power, pharmaceuticals, sugar, paper, jute, textiles, tea, cement, engineering, and financing in infrastructure sector. He is a very senior professional helping a number of large overseas companies to do business in India by connecting them with large Indian business houses. When there is a talk of traditional business sectors, Neeraj knows almost all who’s who of the business industry. Neeraj joined the family business at the age of 19 and soon expanded the empire by setting up new sugar, carpet, paper and pulp factories, adding to the existing tea estates totaling 16 integrated gardens each with modern factories to process black tea, establishing export-import government recognized Trading Houses, buying out a shipping company based in London and entering into a number of foreign collaborations. At the age of 24, Neeraj became the youngest ever President of the Bihar Sugar Mills Association and started representing the industry at various forums. He was elected to several committees of the Federation of Indian Chambers of Commerce (FICCI), India's leading chamber of commerce, the Indian Chamber of Commerce and various other committees. He was also member and advisor in different government committees on industrial growth. Neeraj has advised and brokered several mid-size and large merger and acquisition deals for global corporates in a number of industry sectors. In collaboration with Cerule, he is currently running a wide range of mandates for some of India's largest business groups like the Tatas, A V Birla Group, Reliance, Essar, JSW, Murugappa, Shapoorji Pallonji, Hindujas, JK Singhania, Godrej, Dabur, Emami, IL&FS, Shriram Transport Group, Avantha / Thapar group, RPG, Bangurs, Nagarjuna Fertilisers, Zuari Agro etc. Ajay Gupta is a practicing chartered accountant with an experience of more than 20 years, setting up the accounting partnership firm named Ajay Shubham & Co in 1999. He has immense exposure and expertise in Indian regulatory and compliance matters, including Indian direct and indirect taxation, tax planning, tax assessment resolutions, Companies act, Indian accounting principles and internal and external auditing. Ajay has in-depth experience of statutory audits and have led multiple assignments of private companies and major bank audits, including Bank of Baroda, State Bank of India, Bank of Maharashtra, Allahabad Bank, Union Bank, etc. He is a Fellow member of the Institute of Chartered Accountants of India, holding CoP (Certificate of Practice) since January 1998. Dr Vivek Aggarwal is the first and only qualified super-specialist endocrine surgeon practicing in New Delhi and a consultant to various hospitals like BL Kapur, Sir Ganga Ram, Fortis, Max, Maharaja Agrasen etc. He provides expertise in the Indian healthcare sector and vast network in healthcare industry to Cerule’s team. Ajay Gupta is a practising chartered accountant with an experience of more than 20 years. He specialises in Indian regulatory and compliance matters, including Indian direct and indirect taxation, Companies act, Indian accounting principles and internal and external auditing. He provides Cerule’s team a second opinion on various client advisory matters. Ankit Prakash is an intellectual property lawyer and has represented many Fortune 500 companies for both IP prosecution and litigation. Ankit is an India qualified lawyer and holds a post graduate degree in law from the United Kingdom. He advises Cerule’s team in intellectual property protection and complex corporate legal matters of their clients. Akshay Kenkre is a chartered accountant and has expertise in international taxation, transfer pricing and FEMA matters. He has previously worked with Ernst and Young and PwC in India in his specialised areas. He advises Cerule’s team on complex business structures and transfer pricing matters.